in a high debate with the sea. mother was put to bed. 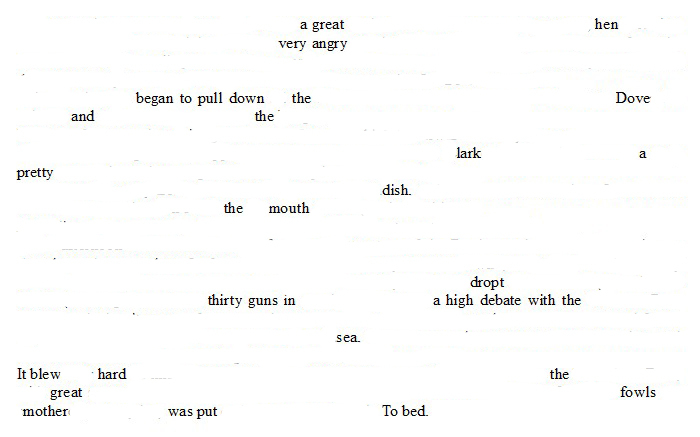 Erasure poem derived from The Diary of Samuel Pepys, Friday 11 May 1660. Maybe. I don’t think I even approached Tadić’s level of grimness, but I think it says something about the persuasive quality of his world that I can now see the demonic potential of poultry.